The advantages of moving to Infrastructure as a Service (IaaS) solutions are well documented, spurring continued growth in this area of cloud technology. For 2017, Gartner research predicts that IaaS spending will grow by 36.8% to $34.6 billion. Any technology solution has benefits and potential drawbacks, of course. With IaaS solutions, organizations can enjoy flexibility, lower costs, faster service and better business agility. Balanced against these advantages are potential data security and privacy concerns, business disruption and changes in architecture and processes. Organizations considering a move to IaaS solutions need long-term thinking. What criteria should a company use to determine if an IaaS solution is the right decision for its current and future business needs? As with most technology buying decisions, astute enterprises solicit input from both the IT and business points of view. When deciding to move to IaaS, examine an organization’s overall big picture goals and make sure the ultimate decision lines up with both IT and business strategies. From the IT side, the decision-making process takes into account not only costs, but should also include enterprise-wide considerations, such as the value of business agility and rapid go-to-market capabilities. On the other side, business units should look at whether a solution fits into the existing IT infrastructure, thus minimizing implementation costs and overall disruption, as well as thinking about new capabilities or competitive advantages. Spiceworks research shows that IT and business owners often work in sync “to create a tech-decision duo.” Each side brings its unique perspective to the decision-making process. For example, IT researches compatibility with existing technology, implementation considerations and recommends optional solutions. The business side, which usually holds the purse strings, takes into account practical solutions, but also seeks innovation and technology advantages that will push the business forward. Bottom line: IT brings deep insight to the buying decision and provides valuable input throughout the purchasing process. Meanwhile, the business unit looks at overall company strategy and adding a distinct point of differentiation, as well as improving customer service. To learn how IaaS impacts areas throughout the enterprise, check out this post. An important part of any IaaS adoption is to have confidence in the chosen IaaS solution provider. Implementing an IaaS solution is not as simple as procuring additional processing or storage capability. Smart organizations also want a reputable IaaS partner that maintains the same levels of compliance, privacy and security when handling and storing customer data. Any agreements for IaaS solutions should include provisions for data privacy, security and governance that line up with the purchaser’s requirements. Vendor lock-in is always a concern, too. Before signing the dotted line, determine how easy (or how difficult) it would be to migrate data and applications back to on premise or to another provider if the service level agreements are not maintained or costs no longer make sense. Take care to engage with an experienced IaaS provider who will work with you in the long term, particularly as business needs change. Saving on IT costs is one of the biggest advantages of an IaaS solution. However, most organizations will still maintain an IT staff that is responsible for managing the apps and determining how data are handled—either in-house or through the IaaS vendor or a combination of the two. Organizations should consider which apps will move to the cloud, how application development and testing may have to be modified, and how new disaster recovery processes may affect liability and compliance. Keeping only core functions on premise enables the purchaser to focus on what’s most important to the business, while allowing the IaaS provider to manage capacity and handle more routine applications. Cloud services must enable an organization to consume the right amount of the right IT services, on demand and at the right time. The ability to scale up or scale down is extremely important. An advantage of IaaS solutions is not having to worry about having too much or too little hardware on site as the business needs fluctuate seasonally, or even day-to-day. Another important check point is to make sure the organization’s internal data communications resources allow adequate access to data and apps to and from the vendor site. It’s a real problem if internal and external clients can’t access IaaS because of internal internet service outages or clogged data pipelines. Still on the fence? Check out Data Center Basics, Comparing Costs and Security. Two questions to consider are “how much is it going to cost” and “what’s the pricing structure?” When purchasing IaaS solutions, determine if pricing will be pay-by-use or on a monthly subscription. Think about surcharges that occur during peak times, which can be costly depending on the type and timing of business transactions. A “try before you buy” pilot program is a good option to help a purchaser determine what it’s like to work with an IaaS solutions provider. Have budget constraints? See how NEC Financial Services can fund your IT needs. Making the move to an IaaS solution involves more than a simple shifting of IT assets. The process affects an organization’s data and applications architecture, and will change the way IT work across all business and support functions. IaaS solutions impact security, compliance, customer service and even insurance policies, so these business components must be taken into account when making the move to IaaS. Developing a strong relationship between the solutions partner and the purchasing organization can help ensure success of an IaaS implementation. Consider which applications to outsource and which to maintain in house. Take into account the organization’s big picture business strategy. Finally, to secure the best solution and provider for their organizations, wise IT and business decision makers need to work together to balance the benefits with any potential challenges. Want to learn more about IaaS and high security data solutions? Check out this recent post. To learn more about the benefits of a private cloud, check out 5 Reasons You Can’t Ignore the Private Cloud Anymore. Fill out the form to download the ebook. As cloud computing has rapidly become mainstream, more and more companies understand the value that it brings to their organizations overall. Even the most cautious and conservative of companies are turning toward cloud computing, particularly private clouds, which address potential security risks, lack of control issues, and offer an alternative to the public cloud. Private cloud solutions such as Infrastructure as a Service (IaaS) provide the elasticity, flexibility and scalability of a public cloud, but can be dedicated to one account, thus providing greater peace of mind. IaaS solutions offer the enterprise advantages such as cost savings, compliance, seamless technology upgrades and more control. So, can these benefits trickle down to the individual job level? Can IaaS solutions make life easier for the various departments throughout your organization? Check out Data Center Basics, Comparing Costs and Security. The office of the CIO and the IT department are probably the most visible areas of the company to be impacted immediately with an IaaS solution. No longer will the IT staff handle repairs, upgrades and replacements of hardware devices. These functions are now delivered by the cloud provider, freeing time from routine IT activities so company engineers can focus instead on more value-added efforts, such as creating new applications for greater mobility or developing data analytics for better insight into business operations. As a bonus, the IT department immediately sees the benefits of the latest and greatest hardware and software through regular technology refresh, rather than waiting for budget that may not come until “next year” or even later. 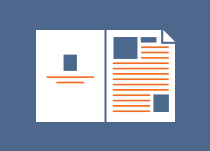 Check out this free resource guide to Private Cloud. Maintaining your own data center comes with a hefty price tag. Ongoing costs include staffing, real estate and facilities, utilities, hardware and networking equipment, and software. Additional costs include providing for redundancy and business continuity. If there is a need to expand due to new business, continue adding a few more zeros to the costs. With an IaaS solution, these ongoing functions are handled by the cloud provider. The flexibility of IaaS lets your company scale up or scale down immediately as business conditions change. In addition, financing options can help the CFO support an organization’s important investment in IaaS solutions to enable business continuity and growth. Compliance and regulatory requirements keep legal and risk teams up at night. Managing and securing data requires meeting regulations such as PCI and HIPAA. A public cloud requires sharing servers, storage and network access, making compliance nearly impossible. On the other hand, a private cloud IaaS solution means dedicated hardware for your company, making compliance much easier and less expensive to manage. Instead of your IT staff configuring and managing servers, team members could be building mobile apps or other options for customers to easily engage with your company. Self-service options in turn reduce the workload of your customer service reps, decreasing staffing costs. Cloud-enabled mobility allows your service teams to be on the ground to help customers in person, improving customer service as well. IaaS also puts customer data immediately into the hands of your sales teams. A salesperson will have simplified access to the data he or she requires to tailor conversations with customers, enabling a more effective sales process. Turning over the administrative tasks and staffing needed in maintaining a data center to a cloud provider can produce a positive effect throughout an organization. Your best IT engineers are free to focus on the unique aspects of your business. Fewer capital expenditures and a more predictable monthly operating cost helps the CFO manage the bottom line. Private cloud services give the enterprise better security and control and instant access to the latest technology. IT staff is free to focus on value-added services—such as greater mobility and improved business insights through data analytics—which benefit departments throughout the organization. Deciding between building and maintaining your own data center or moving to the cloud or IaaS can be quite the head scratcher for an IT executive. In some cases, the terms “data center” and “cloud” might be interchangeable. The first step in decision-making is clarification of terms and a clearer understanding of your options. Why move to the cloud? Can Infrastructure as a Service (IaaS) be used for a data center? Which option is better for the future needs of the organization? “Data center” is a general term used to define an organized area of servers and storage, either onsite or offsite, that is managed by trained data center and IT specialists. The data center equipment is used to store user and organizational data and make it accessible when needed. With many data centers kept onsite, network users do not rely on an Internet connection to access the local data. As long as the local network connection is available, the data is accessible. Staffing and training – hiring IT expertise and paying for training to maintain, backup, restore and upgrade data center equipment, as needed. If there is an emergency situation at the data center location, such as fire, flood or other physical damage, or an attempted data breach, the actual servers and storage are at risk of being harmed and unavailable. Backing up the data or maintaining a data center elsewhere may help mitigate the risk of failure or loss of data. In plain terms, cloud computing is defined by the National Institute of Standards and Technology (NIST) as a set of shared resources and services available to end users (cloud clients), quickly and with little management, via an Internet connection. Cloud computing provides these services via three general models: software as a service (SaaS), platform as a service (PaaS) or infrastructure as a service (IaaS). An example of SaaS would be an email application accessed through a web browser. Platform as a service is typically used in the web or software development world. When developers need to collaborate on a project such as an application or software creation, PaaS offers a good option for a tool or platform to be used in this way. In the case of data centers, IT executives considering the “cloud” would be interested in using Infrastructure as a Service (IaaS). IaaS provides servers, storage, virtual machines and more for the use of running software and other necessary components needed in the IT environment. The cost of building and maintaining IaaS is different from an organizationally-owned data center and can significantly assist in controlling budgets. As part of the service, the IaaS provider does the staffing and training of storage experts, provides the facilities and utilities, furnishes the equipment, backs up and builds redundancy of the data and offers security – all for a single price. With an in-house data center, the organization is paying for these requirements all the time. With “pay only for what you use,” IaaS provides customization, agility, control, dynamic scaling, optimization, security and efficiency for a lower total cost of ownership. And with an IaaS provider, there is also the ability to have the “latest and greatest” in technology, making it easier to stay up to date. When using a private cloud, IaaS offers dedicated servers for the organization’s mission critical data. The IaaS provider is offsite and builds redundancy and backups into the service so the organization’s sensitive data is always secure and available. See also: What is a High Security Data Solution for IaaS? Why NEC for Private Cloud IaaS? As an original equipment manufacturer of servers and storage, NEC is uniquely positioned to offer IaaS to clients without the use of third-party sourcing. IaaS is not a “one size fits all” solution and NEC can tailor customizable configurations based on your organizational needs. 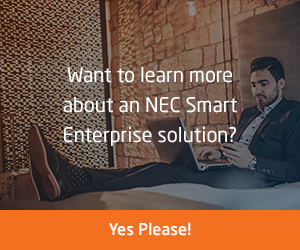 Because of the lower total cost of ownership, NEC’s IaaS solutions offer long-term scalable and quantifiable benefits to organizations at a predictable and financially manageable expense. NEC’s hosts its private IaaS infrastructure 200 feet underground at Iron Mountain’s Western Pennsylvania Data Center. Iron Mountain provides FISMA (Federal Information Security Management Act) compliance to ensure Department of Justice Level 4 security. This security level is the highest federal regulatory standard. When considering cost and security, IT executives are weighing options for highly sensitive and mission-critical operational environments. As the organization’s needs expand, so will the cost of maintaining an onsite data center, equipment, real estate, utilities and more. Moving to IaaS, as part of a cloud computing solution, is an opportunity for enterprise environments to manage expanding requirements for security, regulatory compliance and business continuity at a lower total cost of ownership. NEC’s managed IaaS solution, as well as “best in breed” server and storage options, offers organizations dedicated servers, stored and physically secured deep in Iron Mountain’s underground data center. Need more information? Fill out the form to download the 5 Reasons You Can’t Ignore the Private Cloud Anymore ebook. Hey Buddy!, I found this information for you: "Keeping Your Cool When Severe Weather Hits". Here is the website link: http://nectoday.com/keeping-your-cool-when-severe-weather-hits/. Thank you.